Lately it seems like it's always go time. Prepping meals for the family during the weekend are turning into a must-do. Plus, I need to have quick meals for Ward to grab and take to work as well, or his dining out bills gets to be rather outrageous. Even if he does a budget lunch of of $6, multiply that by 5 and we're definitely going over our food budget. I don't have a set budget, but that extra $30 has to come from somewhere! I've been trying my best to find common ingredient meals that can be used in a variety of dishes throughout the week. This past weekend I made a rather large batch of spaghetti sauce with ground beef and ground pork. I poured half of it into a large container that I was going to use as sauce for spaghetti, cheesy/beefy skillet, and pizza. The other half became chili by just adding in black beans, kidney beans and chili powder. Then put that in a container. Then I made a rather large portion of rice in the rice cooker and put that in a container. These three large items provided my family with lunch for Ward for the entire week and meals 4 times this week! All I had to do was cook up some pasta for two of the nights. 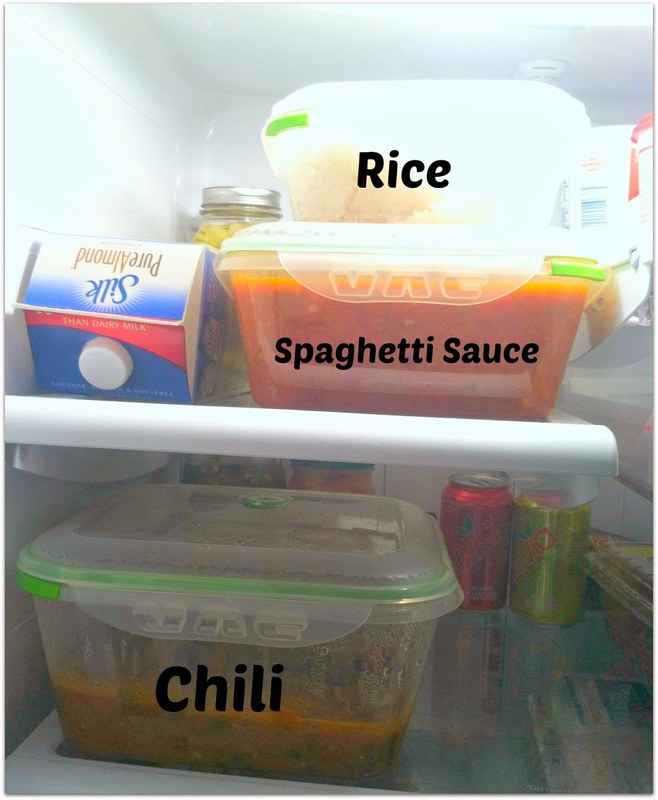 Finding large, heavy duty containers for large portions of food is sometimes difficult for me. The cheaper, more common ones don't always close correctly and then I have a major spill. Or they just don't come in a large enough container. 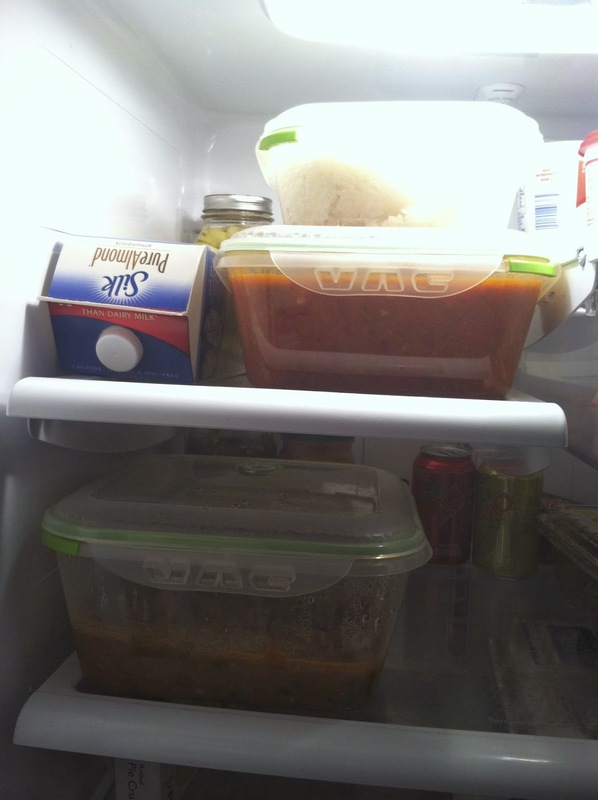 Then I have this problem of putting my prepared meals in multiple containers. Sometimes I lose track of those containers and then a few weeks later I find some type of gross "experiment" that finds it's way to the trash. Not exactly saving time or money that way, am I? 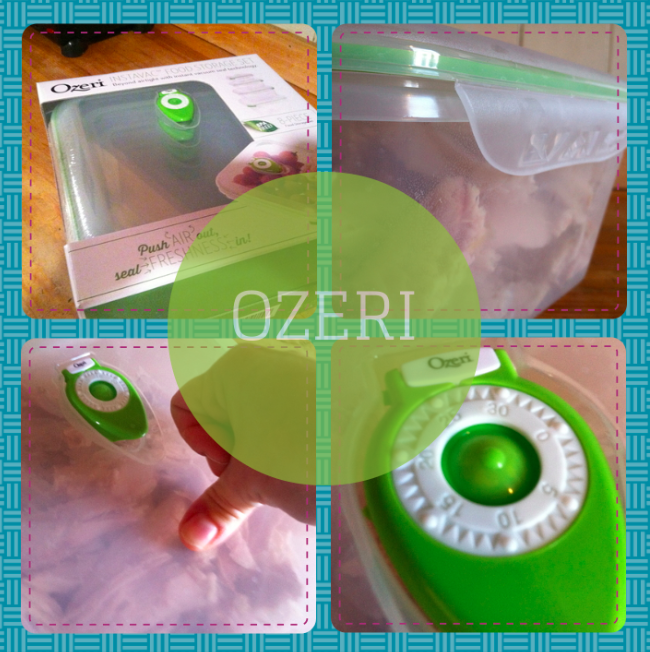 My newest kitchen gadgets - Ozeri Instavac Green Earth Food Storage container have been working wonders for me with meal prepping and storing. 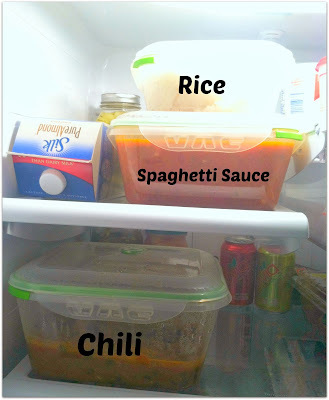 These containers offer far more than any other plastic container I’ve ever used. What I'm noticing about these containers is that they are super heavy duty. They have made tons of trips through the dishwasher and microwave already and are standing up quite well. I will say, the 8 piece set (4 bottoms, 4 lids) are available on Amazon.com for $24.95. And if you have Amazon Prime, you won’t pay any shipping and you’ll have your package in 2 days! It's a little bit of an investment upfront, BUT already they have save me in terms of time which makes that price well worth it! What I want now is for Ozeri to create a line of smaller containers for lunches. I don’t necessarily need the vacuum sealing since I’ll be eating them in a matter of a few days. But I love the locking lids and being microwave and dishwasher safe. What tricks do you use to prep meals for your family? Do you prep on the weekends? Have you found any sketchy experiments in your refrigerator lately? My husband and I meal prep on Sunday. Leftovers! I plan menus with leftovers in mind. I'm hit or miss on the meal prep front. Sometimes I do great, other times not so much. But I tend to keep a consistent stock in the pantry of easier go to meals at least. That's a great price for those containers. I have two sets of some glass containers that I really like. Great review - these do look pretty hefty. 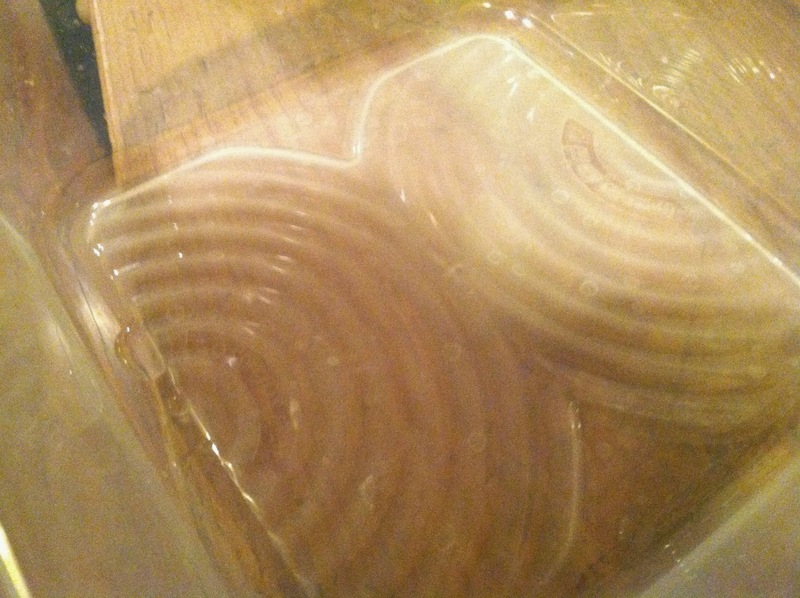 We're still on our old flexible plastic fupperware ("fake tupperware"... not a swear word...) containers, and they're kind of disintegrating. Not in a good way. I don't meal prep as much as I should, but there's only two of us right now. I tend to just try to re-use leftovers as creatively as possible.